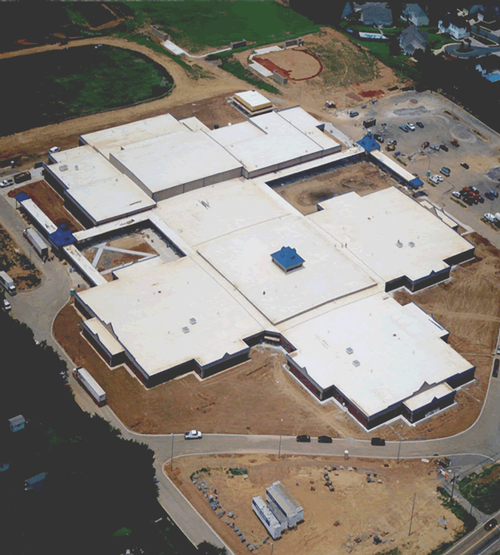 The 220,000 square foot middle school includes a gymnasium and an auditorium. The gymnasium walls are constructed of tilt-up concrete panels; a value engineering suggestion by D.F. Chase, Inc. that was a substantial savings over a conventional concrete block wall design. The school is heated and cooled by a geothermal system that was selected after performing a life cycle cost analysis.